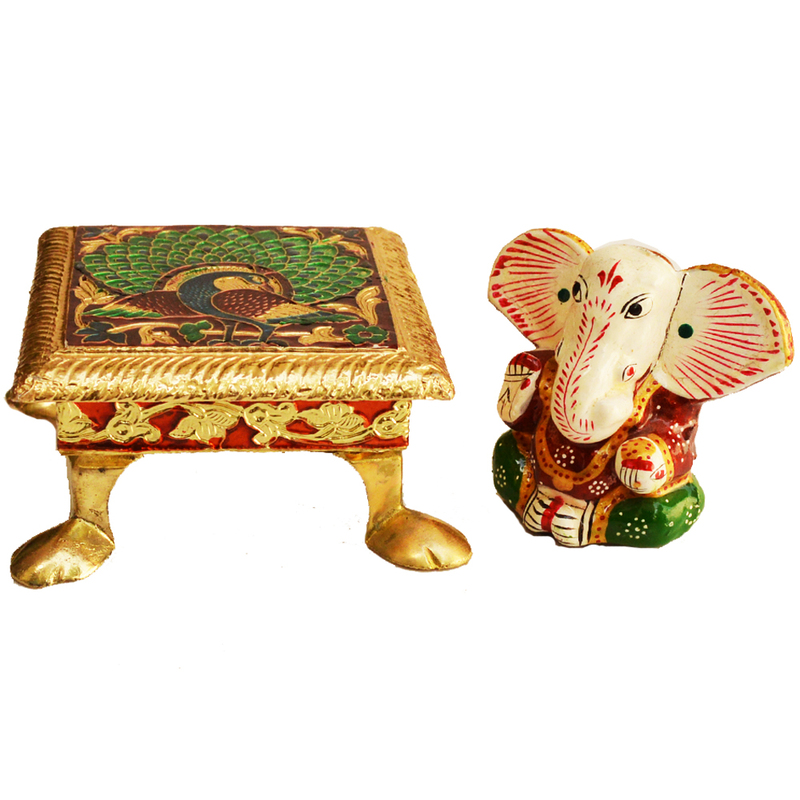 This Meenakari Metal Chowki with Wooden Ganesh Idol features dazzling specimen of finest meenakari work in the form of intricate peacock pattern work on the Read More..body of the metal chowki. 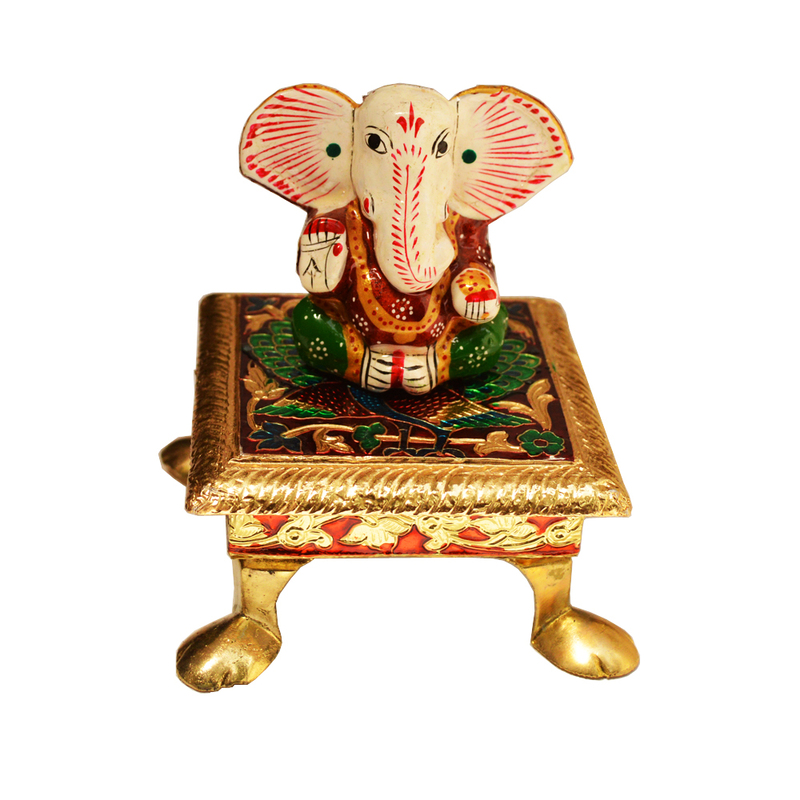 Moreover, the exquisitely carved idol of Lord Ganesh adds to its piousness, and makes it the ideal choice for bestowing any household with the blessings of the Lord of piety and prosperity. Therefore, this item is ideal for buyers looking for aesthetic pieces that will help them in making their household revel in peace and tranquility through divine presence. Show Less..